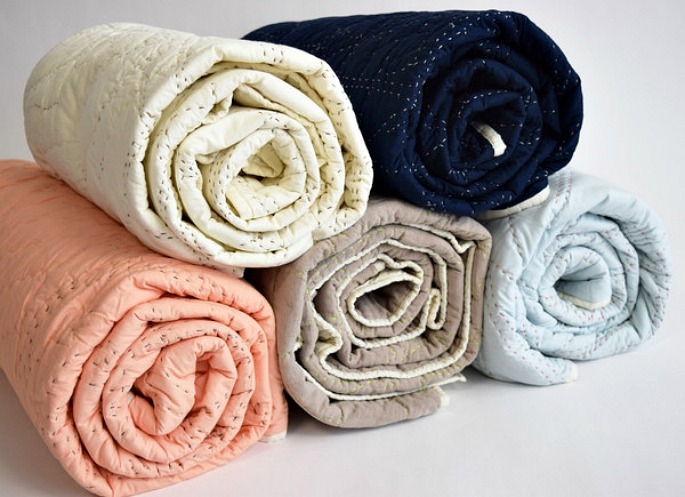 With winter just around the corner, now is a good time to take stock of what you’ve got packed away in the warm blanket department. 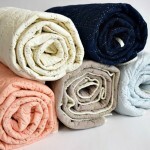 If you’re coming up short, these City Quilt throws from Haptic Lab can provide both warmth and style. 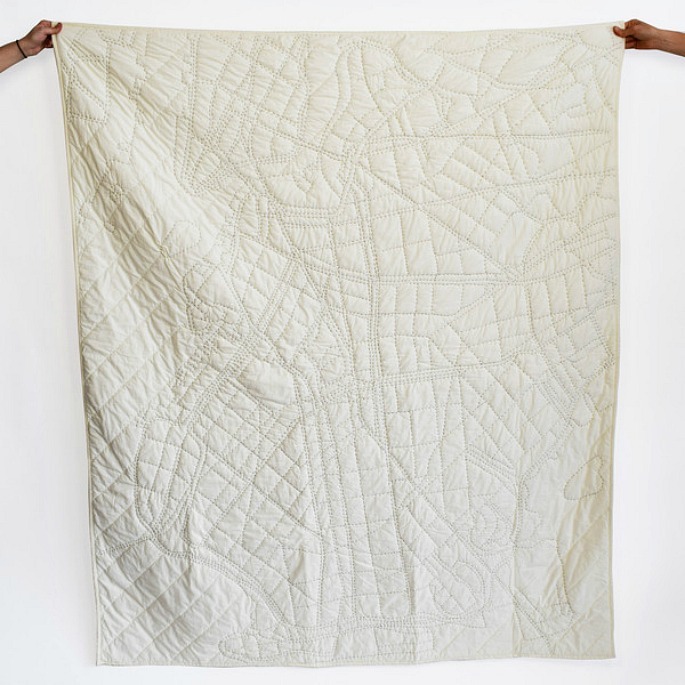 Replicating the age-old tradition of quilting, the Brooklyn-based studio hand-stitches city maps–including details like roadways, rivers, and city blocks–onto fluffy 60-inch x 70-inch cotton blankets. They’re available for both Brooklyn and Manhattan (as well as other big cities like Paris, Boston, and Chicago), and Haptic will even add custom details for an extra fee. 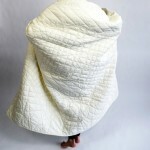 The throws are available in five colors, but all that hand stitching doesn’t come cheap; the quilts are $450 each. 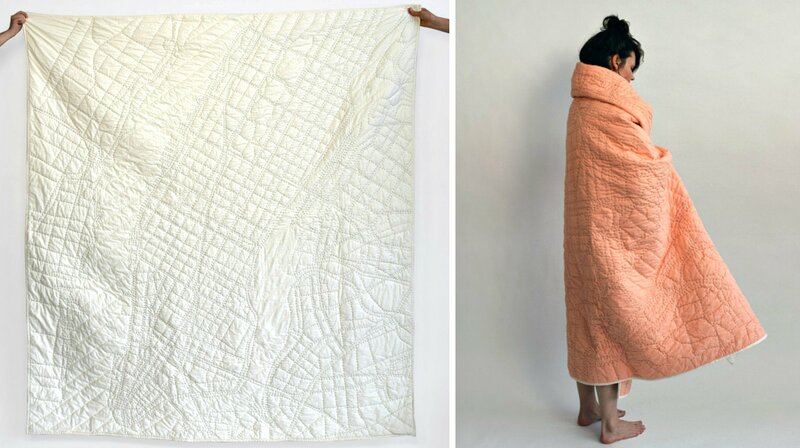 These quilts are part of Haptic Lab’s larger effort to counter the rapid digitization of our daily lives. The products they produce are designed to favor “real” experiences involving the physical world our bodies occupy. For example, their portfolio includes products like a cane that safely guides someone down a sidewalk. They’re constantly working to create items and environments that combine new technologies with traditional craft techniques. 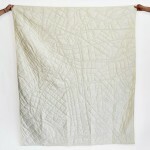 Check out more work from this young hip studio on their website. 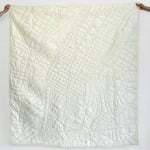 Just a clarification note, based on the Haptic Lab website these beautiful 60″ x 72″ throws start at $219, the queen sized 86″ x 92″ quilts are $450….